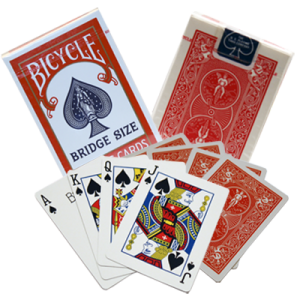 I am thankful to my good magician friend from Israel – Zivi Kivi for his ideas on putting this trick together. The three cans need to fit one inside the other. 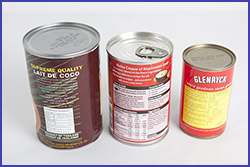 The largest can is a standard soup or bean can, measuring 7 cm in diameter and 11 cm in height. The second can is slightly smaller. These are normally one portion soup cans, measuring 6.5 cm in diameter and 10 cm in height. 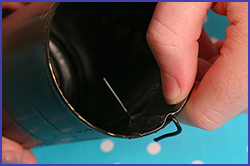 The third can is used for tinned fish and measures 5.5cm in diameter and 8 cm in height. Make sure you wash all the cans thoroughly after they have been emptied. You don’t want your props to smell like fish! Part of making this trick will involve painting (yeah!). Work in an area that you can cover with some old newspaper. Wear old clothes for painting or you can put an old shirt over yours to protect your clothes. Electrical tape (called insulation tape) works very nicely because it is a bit stretchy and makes a smooth edge around the top of the cans. There are also some bits that you may need help with, so make sure you have an adult close by. We are now ready to make the Mystery Tube magic trick kids can do. Cut the bottoms out of the two bigger cans using a can opener. Ask for help if you are finding this hard to do. Make sure there are no sharp edges once the bottoms are removed. DO NOT remove the bottom of the little can. Painting time! Make sure you have covered your work area with some old newspaper. Remember: put on some old clothes or wear an old shirt over your clothes. It’s time to paint only the insides of the two bigger cans. Paint the smallest can both inside and outside. The small can is the ‘gimmick’ that won’t be seen by the audience. Leave the cans to dry. 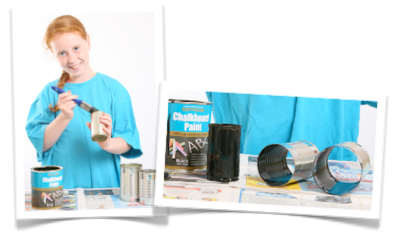 TIP: Stand the cans upright so that the paint can run down the sides of the cans and dry quicker. Leave the small can standing upside down to stop the paint collecting in the bottom, which will take a lot longer to dry. Once your cans are dry, it is time to decorate your Mystery Tube. Cut some coloured paper to fit around your two bigger cans. We used two different colours for the two cans that the audience will see. 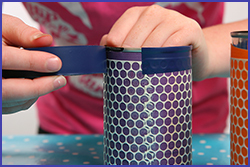 Decorate the cans with stickers and decorative tape. We finished the top and bottom edges of the cans off by sticking a length of electrical tape around it. I have found electrical tape works really well as it is a bit stretchy and gives you a smooth finish around the edges. The next step is to make the ‘hook’ that will be part of the ‘gimmick’. 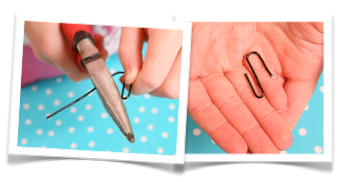 This is done by bending a paperclip into a hook or a ‘s’-shape. Follow the steps in the pictures below. This will hide the ‘sneaky bit’ from your audience. You need to cut a piece of the paperclip off with the wire cutting pliers. Ask a grownup for help with this bit. You want to create a hook that looks similar to the one in the picture on the right. 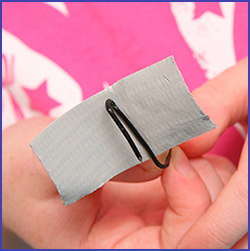 Stick a small piece of ‘gaffa tape’ or similar strong tape to the paperclip as shown in the picture. Now stick the paperclip hook into the small can so that it just sticks over the side. (See pictures). Now when you put the small can inside the others it ‘hook’s on the side, but stays hidden from the audience. You have made the props for your Mystery Tube Magic Trick. 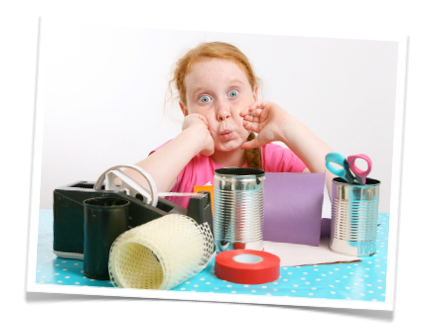 Have fun producing all sorts of amazing things out of two empty cans! I haven’t used tricks like these in 40 years when I first started in magic back in 1975 I used to do these kinds of tricks when I started out then advanced to the more harder tricks. But I enjoy these they are great and work more effectively than the expensive tricks thanks for bringing back some old memories and tricks I had forgotten. Hi! These tricks are great! I entertain at a children’s hospital and the kids love them. I do have a question about the “Mystery tube” trick. About how much ribbon is used for the gimmick?